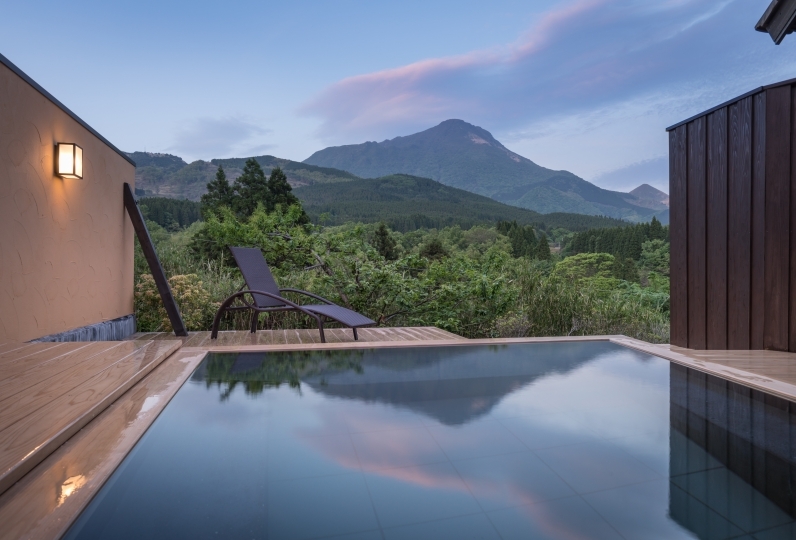 In a rural district that retains the natural scenery of Yufuin Basin, Yufuin Rikka, a new hotel with just 6 guestrooms, opened its doors in September 2018. Each room is housed in its own building, and is ideal for solo travelers as well as families. Relax in this luxurious space, and spend your time as you like. 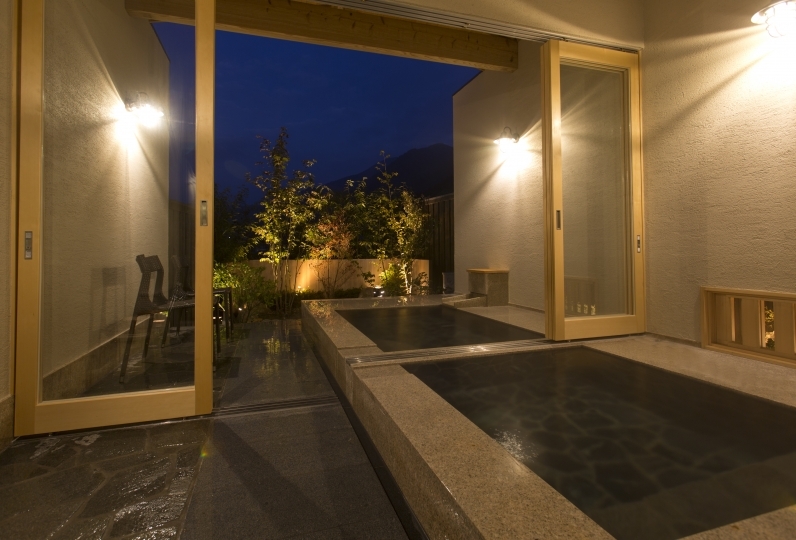 All guestrooms are fitted with a semi-open-air bath, filled with natural hot spring water from the earth. 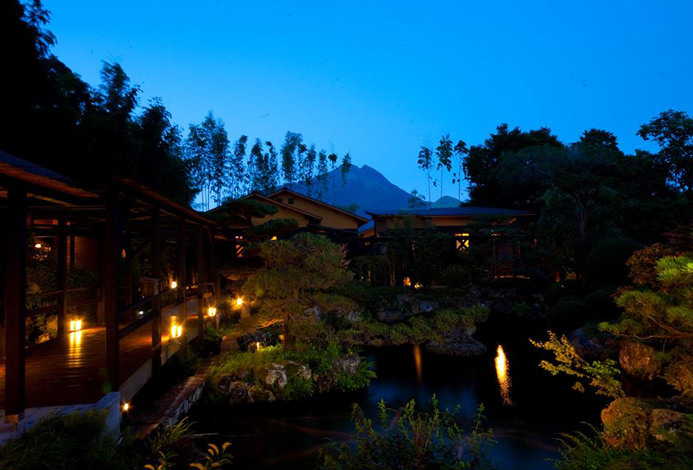 For dinner, savor their Japanese-Western creative cuisine course of the month, made with seasonal ingredients, in the exclusive atmosphere of the private rooms of the restaurant. Enjoy a special time with your loved ones, surrounded by nature that tell of the changing of the seasons. Everthing is perfect except for the room temperature. It is a little bit cold. 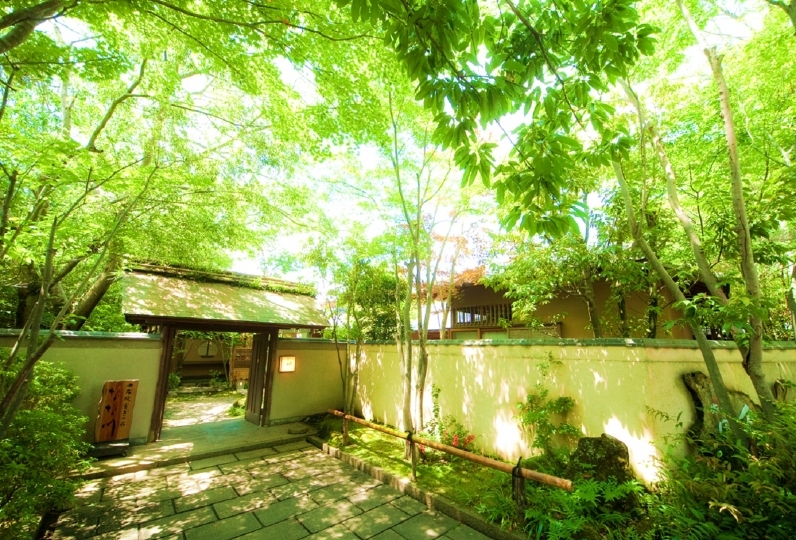 Great place to stay at Yufuin. Thank you for taking care the other day. This time I had a healing trip by myself, but it was a very pleasant customer service with no response and no response. The food served at a time when it came out, and I was able to pace myself in the semi-private room. The seasoning was also good. 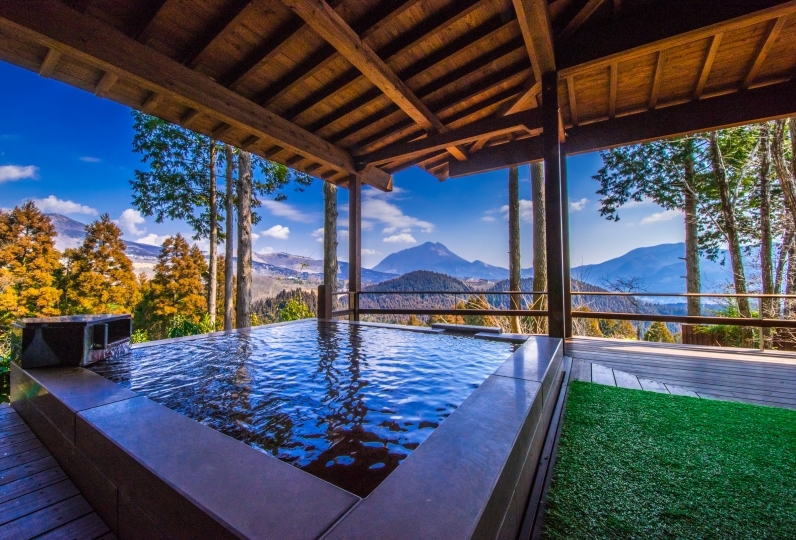 We could take a bath slowly while looking at Yufudake, and let me enter many times. It takes a little on foot from Yufuin Station because of the level crossings, but I also think it is good to walk around leisurely in the wilderness. I wanted to stay again. There is a dining area with private rooms for hotel guests only. Breakfast and dinner are served in this dining area. 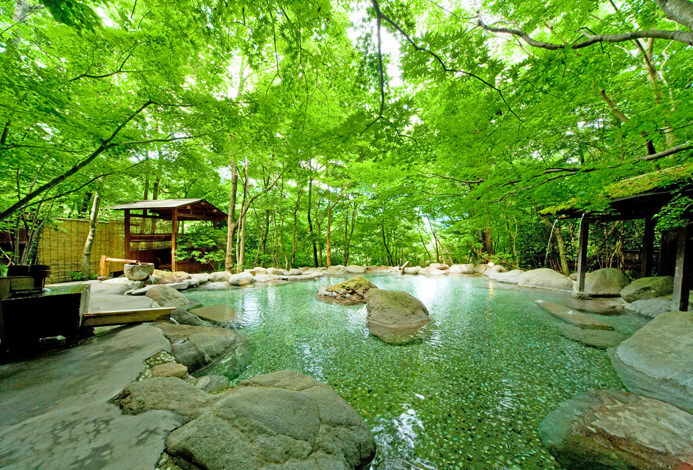 Each guestroom has its own semi-open-air bath. 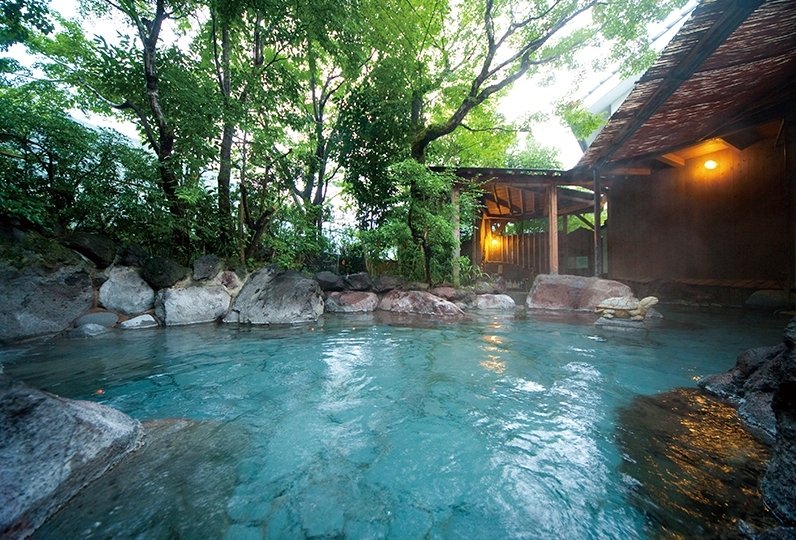 The baths use the hotel's natural hot spring water. The hotel consists of 6 guestroom buildings, lobby, and dining area. Guests can relax in their own ways. This is a small lodging that newly opened in September, 2018. 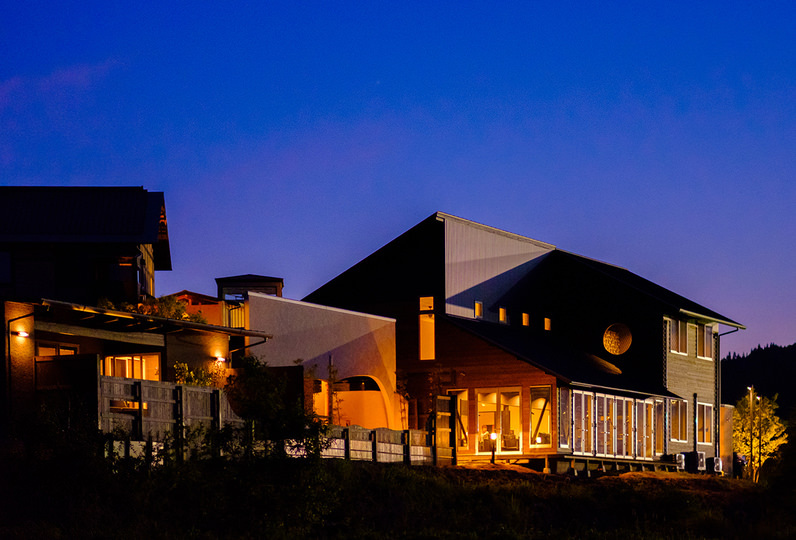 It offers comfortable guestrooms, each housed in its own separate building, and Japanese-Western creative course dinner prepared by the head chef. ・Please state whether you require a pick-up and drop-off service to and from Yufuin Station. 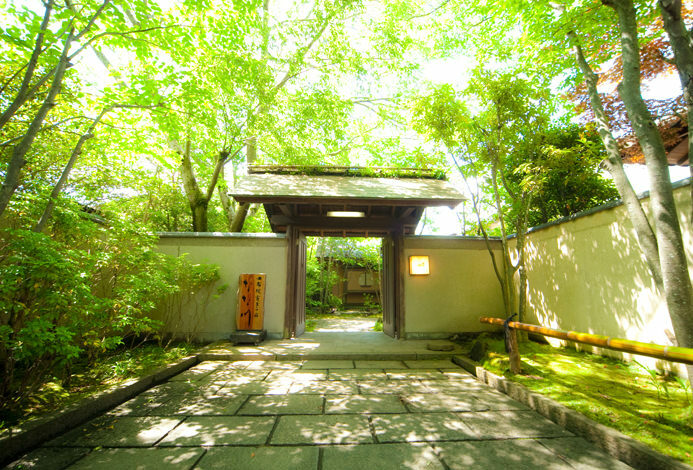 ・Please contact the accommodation if you are arriving after 18:00. ・Please state the number of male and female guests in your party. ・Please state the age of the children in your party, if any. ・There is no smoking permitted in the guestrooms and the dining area. Please use the terrace for smoking purposes. By Train: Around 2 hours 10 minutes from JR Hakata Station on the limited express train. By Bus: Around 2 hours from Fukuoka Tenjin Bus Center by highway bus. By Bus: Around 1 hour from Oita Airport by highway bus.